May 1, 2011. It was a beautiful sunny day when my husband and I drove to the hospital. My contractions began early dawn and we made sure to prepare to go to the hospital early as it was a long drive from our house. We had chosen this hospital even if it was a little above our budget, because we believed the staff there would take good care of us. We wanted the best birthing experience we could afford. As first-time parents, we were excited to meet our daughter. There was no fear or trepidation at all about giving birth, just a joyful expectation that everything would turn out right. I wished we had waited longer before going to the hospital. From the moment I was admitted and told I was in active labor at 4 cms. dilation, I was put on a time watch by my OB GYNE. At that stage, labor did not hurt at all and I was able to laugh and joke around with my husband. I did squats and lunges and walked the empty hallways of the maternity ward while singing at the top of my lungs to help the baby descend. After all that work, my doctor came in and said that I was not progressing according to their timetable. She kept looking at her watch and commented how there must be a problem with my cervix as I squirmed when she did an internal exam. This was my first IE and it was very uncomfortable. “I don’t know what to do with you anymore,” my doctor declared at 7 PM, seemingly irritated. A little past 8 PM, she burst my water bag to help labor progress. I was told I was 6 cms. dilated when she did the amniotomy. As water came out from me, I felt the baby squirm inside me, her head going from left to right, trying to inch her way out of the birth canal. She was trying to descend but was unable to because my cervix was not yet ripe for delivery. My birth plan stated that I wanted an unmedicated birth, but my body was jolted by the pain making me request for an epidura a little past midnight. Before receiving the shot, I had an intense contraction and politely asked the anesthesiologist to wait until after the contraction had passed. She responded sternly: “Anong intay-intay? Kailangan na natin itong isaksak! (Why are you asking me to wait? I need to inject this now)” I was flabbergasted. It was not an emergency and waiting for 45 seconds to a minute won’t do any harm. Although the epidural dulled the intensity of the contractions and gave me some physical relief, it did not give me the courage to fight off the doctor’s insinuation that my body was not capable of birthing my baby. At one point, she told me that my pelvis must be too small to accommodate the head of the baby. “Doc, isn’t a pelvimetry needed to confirm that?” I asked. She brushed me aside and said it was too late to have it now. At 4 AM, I was exhausted by the mind game and doubtful that my body would have the strength to birth my baby. When my OB-GYNE came in and announced that we better have a C-section, I was too tired to protest. My husband cried as they wheeled me to the operating room. They put me on a very cold and narrow operating table and strapped both of my hands. I felt like a prisoner. An oxygen tube was placed under my nose. Instead of oxygen, it spewed out water and I choked. Moments later, my blood pressure plummeted. (I later learned that this was a side effect of the epidural). The staff gave me a black oxygen mask that reeked of a strong plastic smell and told me to inhale. I could not take it in as it was suffocating me. I was glad my husband was with me in the operating room. He was my advocate. He convinced them to remove mask and make the oxygen tube work. He also asked them to unstrap my hands. Although very disappointed with the way we were treated, we tried to be strong as we welcomed our beautiful baby girl who was 6.8 lbs. and 51 cms. at birth. I was even able to take pictures and videos of the baby and my husband while the doctor was stitching me up. I was glad that despite being on epidural for 8 hours, my baby Mishca was very alert and surprised us by latching heartily the moment she was placed on my chest. Took this picture from the operating table before they finished stitching me up! Still in a lot of pain from the surgery, I forced my body to move and stand the very next day. I asked the nurse to remove the catheter so I could stand up. It was painful. At first, I could not feel my legs, another side effect of epidural. I struggled to sit up, but eventually will power won. I wanted to go home as soon as I could so this ordeal would be over. It wasn’t. Then, my baby developed jaundice and was taken to the NICU (neonatal intensive care unit). She stayed there for 2 days. The pediatrician assigned to her suspected that there was something wrong because she cried the whole night. One nurse said my baby was too hungry, cried so loud and kept complaining all night. To check, the doctor did an x-ray without our permission, but found nothing wrong. She did not want to let us leave the hospital and wanted to wait another 24 hours for observation. The pediatrician also advised us to restrict her milk intake as she explained that an infant’s tummy was the size of a golf ball and it could not digest too much milk. It turned out that they had starved my daughter by giving her milk with ratio of one part formula and two parts water (ratio of 1:2), instead of equal parts of formula and water (a ratio of 1:1) as instructed by the formula company. The nurses who fed her did not read the instructions on the label and had the audacity to blame my baby daughter for being too fussy and wanting to eat too much. Of course, nobody confessed that. We found out for ourselves when my husband read the instructions on the can of formula that they gave us. I went home with my baby after 5 long days with more than just a physical scar as a result of that ordeal. Yes, the wound was very painful and it was a struggle to stand up and take care of an infant, but the psychological scars ran deeper and took longer to heal. My medical report says the reason for the C-section was “failure to progress”. 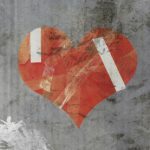 A part of me felt my body had failed me, but inner wisdom whispered that it was a case of “failure to wait” on the part of the medical team. When labor did not progress as fast they wanted to, they could have just asked me to rest or advised us to go home. I needed to get to the bottom of it. I also wanted to have more children so I consulted three other OB-GYNEs from the same hospital. They said they would have done what my doctor did. Another admitted that the hospital had a time limit for labor to progress from active labor to complete dilation. A C-section was administered beyond those hours. I was advised to get over it and be thankful I had a healthy child. Watching our adorable baby daughter grow did dull the pain of that memory. Still I could shake off the thought that my child and I deserved a better birthing experience. In January 2015, my daughter had dengue and was confined for three days. We both contracted bronchitis from a bug in the hospital. I took 2 rounds of antibiotics, which unbeknownst to me affected my gastrointestinal tract and consequently my thyroid function. I woke up from that dream a little dizzy. I quickly ran down to the kitchen to grab some crackers. My husband was at the dining table, excitedly telling me that while was praying for more kids that morning, he saw a vision of himself with three of our children. 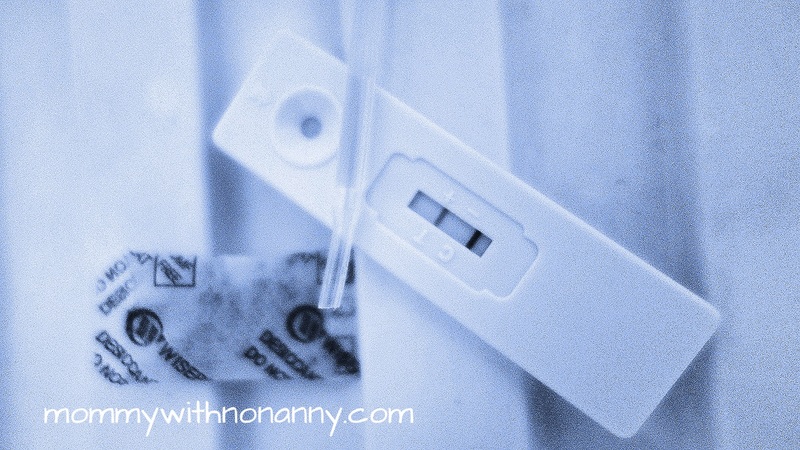 I took a pregnancy test that morning and it was positive. We were ecstatic. My daughter and husband jumped and danced for joy when they saw the test result. Four months into the pregnancy, I had a miscarriage. God was so gracious to see me through the whole ordeal. There was minimal pain and no need for hospitalization. After 3 weeks of bleeding, I had an ultrasound. My womb was clear and I had no signs of infection. The doctor who took my ultrasound was the same OB GYNE. It was good to see her again and forgive her from my heart, although she was oblivious to the damage she had caused. She told me that everything was good and that I could plan to get pregnant again. Interestingly, she did not mention any uterine scar from my C-section. Later that year I discovered that I had sublinical hypothyroidism. My body was not producing enough heat to help the baby develop normally. Still, we had high hopes that we would have more children, because we know God is faithful to His promises. On a balmy day in August 2016, five home pregnancy tests confirmed what my husband and I had hoped for. I could not believe it at first, because the lines on the tests were so faint. A med tech who checked my thyroid hormone levels said there should not be 2 lines in the test at all if I was not pregnant. To sure, I took the final test with my husband who also peed on his own stick. We put the sticks side by side. After a couple of seconds, his had one line but mine had two, still as faint as before. There was no doubting now that I was really pregnant. What was so amazing to me was that, after trying for so long, I got pregnant exactly a year after the miscarriage. 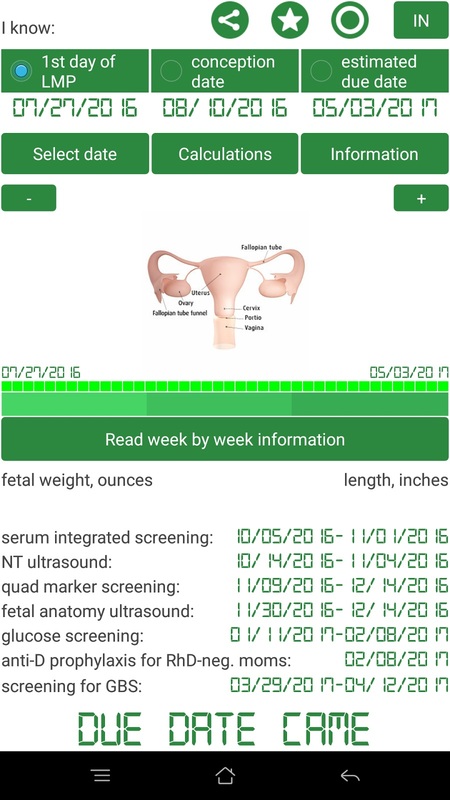 Two due date calculators predicted that the baby would be born a day after the birthday of my firstborn, who had been praying for a baby brother for three long years. Now that I was pregnant for the third time, I made sure to keep my body and spirit healthy. That meant being monitored closely for my thyroid condition by my endocrinologist, who is also a natural health practitioner. It also meant keeping a positive frame of mind and avoiding negative thoughts about pregnancy and birth. I knew this time that I needed and wanted an unmedicated natural birth. Because of my sensitivity to antibiotics, I could not gamble on having another C-section, since it required administration of antibiotics before and after the surgery. More so, I was afraid of having another abdominal surgery. Statistically speaking, a repeat C-section carries more risks for the mom and child than a vaginal birth after Ceasarian (VBAC). I honestly did not know how I would handle the pain of natural birth, but I was too much of a coward to endure another major surgery with all the risks and side effects. I could not for the life of me let them cut open my C-section scar which continued to hurt and be sensitive years after and only stopped bothering me when I started using this all-natural scar gel (Derma E Scar Gel available in Healthy Options.). For me, women who go for repeat C-sections are really the more courageous ones. Without telling me, my husband talked to two OB GYNEs from his side of the family and both of them gave him the “once a Ceasarian, always a Ceasarian” spiel. Because we knew the chances of having a VBAC in a hospital was nil, my husband and I decided to have a midwife attend to our birth. We did not share our plans to our family, fearing they might panic and convince us otherwise. Early in the pregnancy, God comforted me through Isaiah 66 where He asked this rhetorical question: “Shall I bring to the birth, and not cause to bring forth? Shall I cause to bring forth, and shut the womb?” Despite all the demons in my head telling me otherwise, He assured me that He made my body capable of birthing naturally. I just needed to convince myself of this truth. Once I got that settled, I prayed for a midwife who could help us. I wanted one who could attend to a waterbirth since I had read that it was less painful for the mom and gentler to the baby. I had met the midwives of Shiprah Birthing Home in Taytay, Rizal during my second pregnancy and their knowledge and confidence about a woman’s capacity for natural birth and VBAC won me over. In Shiprah, I was able to talk to new moms who had given birth a few hours prior. I was surprised that they didn’t mind the intrusion, eagerly inviting me to their birthing space to meet their babies. They were relaxed, glowing and just very happy with how the midwives had guided them during their birthing time. This is how all births must be, I told myself. I really like the midwives at Shiprah but the distance of the birthing home to our house worried me. What if I begin labor in the middle of the night? Or worse, what if I had to go there during rush hour traffic? My daughter was also a major consideration. She found the drive to Taytay very taxing as she would often get car sick. Since I am a mommy with no nanny who takes her little girl wherever I go–even to prenatal check ups–I had to think of her preference, too. I asked God to give me an answer regarding this dilemma before my fifth month of pregnancy so that I won’t have to stress about it when my due date neared. Then we found a wonderful midwife through a Facebook post in Gentle Birth in the Philippines. Eve, who holds clinic just 45 minutes away from our place, is a veteran midwife who has worked in a hospital in the Middle East. She comes highly recommended by a doula-friend. We called her and immediately sensed her passion for helping women give birth without medication or episiotomies. She encouraged me to have a water birth wherever I would feel safe and comfortable. She ticked all the boxes in our list. I had asked God to give me the right midwife by December, my 5th month, but God outdid my request sending her into our lives by November 1! We first heard our baby’s heartbeat on November 9, the day Donald Trump was elected president of the America. 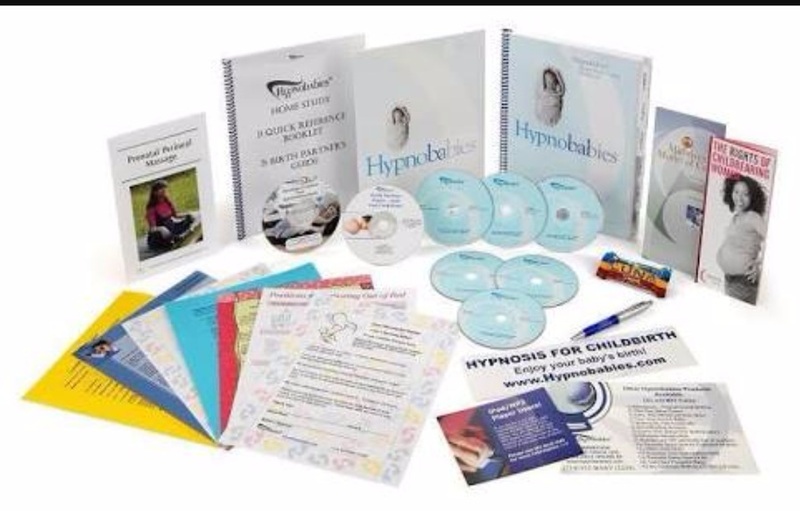 While looking for courses on natural birth online, I discovered the Hypnobabies home study course by Kerry Tuschhoff, a doula whose mission is to give women easier and more comfortable births through childbirth education and hypnosis. I read plenty of testimonials of Hypnobabies moms and their encouraging natural births. They said Hypnobabies allowed them to be calm and in control during birthing. Some claim that they gave birth with little or no pain. Although I was interested in the course, I was wary about the hypnosis part. I read up on it and downloaded the sample MP3 and realized that hypnosis in this context was just reframing one’s mind to allow only positive thoughts about childbirth, much like the “renewing of the mind” that is mentioned in the Bible. There was no weird or kooky new-age stuff in there. I took the plunge and purchased the course online. Still I wondered out loud if there was a Christian program for a painless, natural childbirth like the promise in Isaiah 66. A Google search led me to the testimonies of Jackie Mize and Janet Angela Mills. Both experienced unmedicated childbirth without pain. Jackie was told by her doctor that she could not have kids. Holding on to God’s promise, she conceived and had a miscarriage. Undeterred, she went on to have four kids, three of whom was birthed without pain. She testified that she just walked to the hospital and had her babies 20 to 30 minutes later to the astonishment of the nurses and doctors who sometimes did not believe she was far along with labor judging from her demeanor. Jackie, a missionary and pastor’s wife explained that labor pains, along with infertility and miscarriage, are all part of the curse that Jesus paid for when He died on the cross for the sins of humanity. Every woman who has Jesus Christ as her Lord and Savior has been redeemed from this curse and can believe for a supernatural birth. 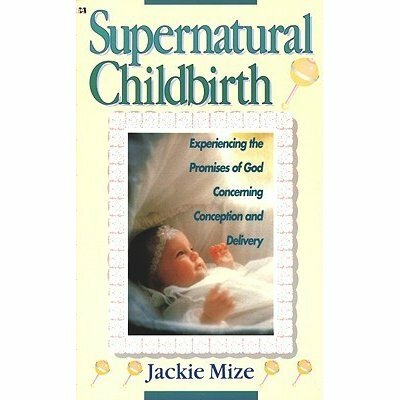 Jackie had a teaching tape in the 1980s which Harrison House made into book called Supernatural Childbirth. The book has many scriptural references on God’s promises for conception, childbirth and delivery, as well as practical tips on how to have a supernatural birth and testimonies by women inspired by Jackie who had miracle births themselves. Janet Mills has a similar testimony. I watched her tell her story in a Christian show posted in Youtube. She shared that pregnancy and childbirth can be a glorious and pain-free experience. After the birth of her son, Janet and her husband produced Childbirth in The Glory, a CD containing a series of prayers and scriptural declarations set into prophetic worship music that pregnant women can listen to and pray along with. I remember getting goosebumps when she encouraged women who were planning to have VBAC to go for it. God will make it happen, she said. I knew that message was for me. 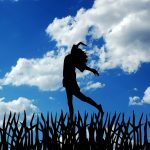 Hypnobabies, Supernatural Childbirth and Childbirth in the Glory were the three tools I used to remove my fears and worries about natural childbirth. It was a relatively stress-free pregnancy, thanks in part to my midwife who was always positive and quite level-headed when we called on her for concerns like UTI and pelvic pain. I took coconut and cranberry juice for UTI. She also told me to drink salabat (boiled water with ginger) to alleviate gas which pregnant women sometimes mistake for early labor pains. The only thing that I really missed during this pregnancy was being able to exercise regularly. 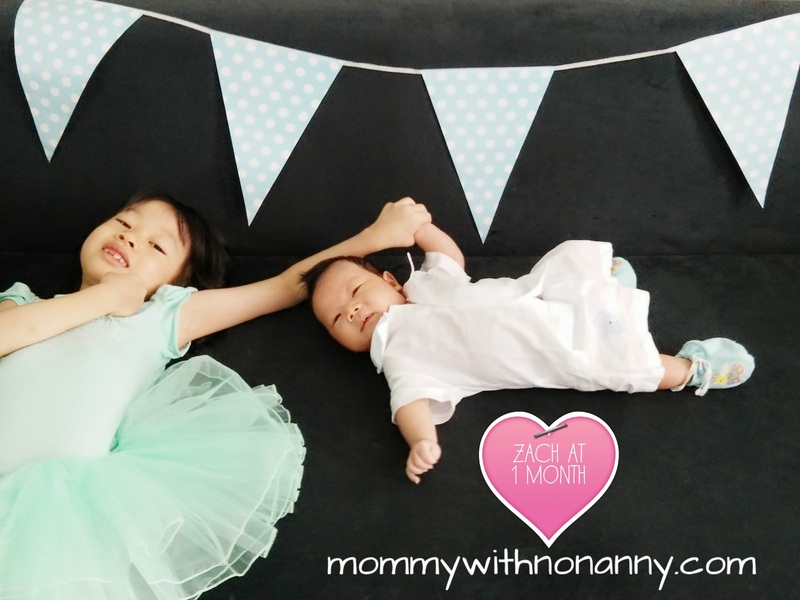 I was not allowed to do so because four months and a half into the pregnancy, while doing some Spinning Babies Daily Essentials Exercises, I felt a heaviness and clicking pain in my pelvic area. During a check up, I was told that the baby was already engaged in my cervix and ready for birth! Of course, we couldn’t allow that! My midwife adjusted the baby’s position three times in the course of the pregnancy. Still, I was able to sneak in time in the gym, a little Zumba and a swim when the mood struck. I also waded and snorkled in the sea until the 9th month! True enough, labor again started on May 1, which fell on a Monday. After cooking lunch and having a hearty meal with my family that Monday, I felt a little crampy. When I checked in the toilet, there was some bloody show. It was followed by a more prominent one at 5PM which amusingly was heart-shaped. This signaled us to call my midwife. She had a hunch that my birthing would be fast and easy so we clued her in early on. I was still able to go out at dusk to get some fresh air and buy food for dinner. By 8:30 PM we were already with my midwife as we anticipated the birth. We did not do any internal exam as Eve figured I was still in early labor judging by the way I talked, laughed and moved around. There is no mistaking a woman who is in active labor because she will not be able to talk or smile during a contraction, Eve explained. To be sure, the colorful, translucent 4-layer birthing pool that was prepared for this occasion was filled half way with water by Eve and my husband. I spent the night on a birthing ball while everyone around me slept. At 4:30 AM on May 2, my daughter awoke and we had a small celebration. I was then able to catch 2 hours of sleep. When I woke up at mid-morning, Eve asked how I was feeling. “How many centimeters dilated do you think you are?” she probed. I told her that I might be 6 cms. already, because the contractions felt as intense and regular as when they broke my water bag in the hospital. The doctor told me I was 6 cms. dilated at that time. After a relaxing shower, I submitted myself to an internal exam at around 2 PM. I needed to know how far along I was. I took a deep breath as Eve examined me. It was not painful. “Three cms. ka lang, (You are only 3 cms. dilated)” Eve announced. I felt disappointed and wondered if they had made a mistake when they examined me at the hospital. I would not forget what happened next. At 3 PM, Eve asked me to do some exercises to help the baby descend. She took me to the stairs and coached me to take two steps up then jump down to the bottom. “Do that 300 times,” she commanded, sounding like a drill sergeant. I did not know I could jump while pregnant. I complied as she counted every jump. I was able to do a total of 130 before exhaustion crept in. I asked if I could take a nap. I figured that since I was just 3 cms. dilated, I better take the time to rest so that I could have the energy for what was ahead. I listened to my Hypnobabies MP3 tracks in bed. Sleeping in between contractions, I lost track of time. Thankfully my loquacious daughter took a liking to Eve. They watched some videos in the other room, giving me the space and privacy to labor. I was informed much later though that my daughter played with Eve’s paraphernalia and accidentally squirted out the Vitamin K shots prepared for the baby! By early evening, the contractions, which felt like strong menstrual cramps, became more frequent. I could not sleep through them anymore as they increased in intensity. I took another shower to relax. Soon, I had to concentrate to get through each one. I tried a couple of techniques to manage the pain, but what really helped were the deep belly breaths taught in Hypnobabies. I noticed that deep breaths relaxed me and when I was relaxed the contractions became more manageable. It was easier said than done, though. At one point, the pain was so intense that I was caught off guard and bit my husband on the arm. I also bit myself a couple of times and had bruises on both arms. Through it all, I was glad my husband never left my side. I could not imagine having someone else for support at this time. His touch was very calming and took me through the transition phase. I thanked him and God in between contractions. I did not expect to be this grateful nor quiet during labor. Knowing how fiery I could get under pressure, I could only credit it to God’s grace. I went inside myself and took deep breaths to find relief. I also changed positions several times-from lying down to standing up and holding on to a bed post for support to being on my hands and feet. As the night drew on and the contractions grew incessant, my mind screamed, “Epidural!! !” Since I knew no hospital would admit me at this point, it was not an option. Even though I had read that the moment you are about to give up you are actually near the end of the first stage of labor, it did not register at all that the baby was about to come out. In my mind, I was still in early labor. “Hindi ko na kaya (I cannot take this anymore),” I told my husband. With that, I stood up and a gush of warm water that landed on the bed. “I think my water bag just broke!” I announced. My husband called Eve into the room. It was 10 PM. The first thing she asked was if I felt pushing pain. “Do you feel like you want to poo?” she asked urgently. “No, I just feel like I want to pee but nothing is coming out,” I answered. She hurried me to the birthing pool, sensing that I was fullkoy dilated. Not wanting to have my husband leave me to help ready the water for the pool, I asked if I could forgo waterbirthing. They did not listen to my plea. In hindsight, this was one request I am glad they did not grant. By 1030 PM, I was slipping and sliding in the pool. Although I had tested this pool several months prior and was quite happy with it, I did not feel any comfort in being in the water. Eve managed to give me an internal exam while I kneeled on the side of the pool. She announced that I was already 8 cms. dilated. Pretty soon she was asking me to push. I had remembered to play my Hypnobabies “Pushing Baby Out” MP3 before enteing the pool but nothing registered at this point. “Wag nyo ako madaliin (Do not tell me to hurry),” I requested. I still had no pushy feeling, only the sensation of wanting to urinate. “Hindi kita minamadali. 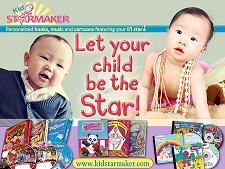 Nandyan na yung bata (I am not. The baby is almost there! ),” Eve replied. Sensing the urgency in her voice, I positioned myself for pushing. I had read that when it is time to give birth, your body would know what to do and how to push your baby out, thus the term “mother-directed pushing.” Well, I apparently did not have that instinct. I did not know how to push. I was glad my midwife was very hands on. Eve coached me and dilated my cervix with each contraction. I was too concentrated on pushing and having the baby out that I did not even notice that the pain was gone. I could feel my body tensing and easing up on each contraction. I could also feel the midwife’s hand as she dilated my cervix, but there was no pain. 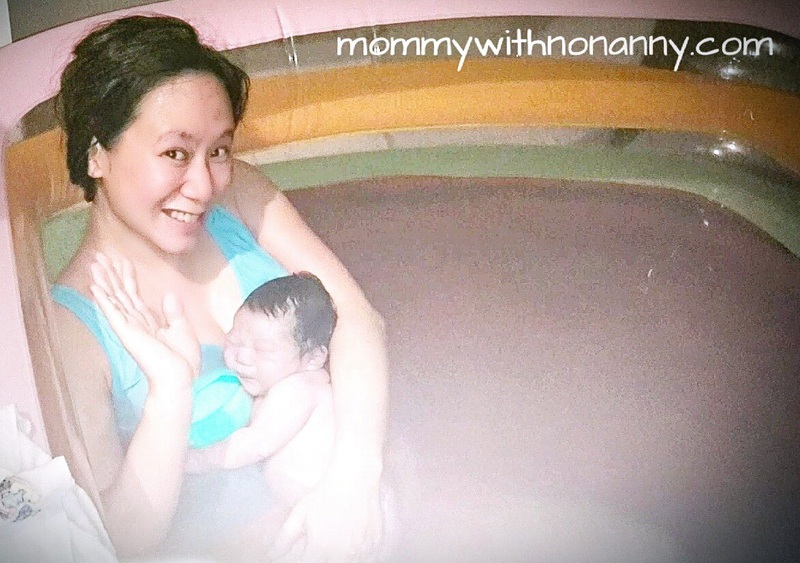 As a matter of fact, I was able to ask my husband to take a solo picture of me in the birthing pool, which we are selling online in Lazada and the Bibliorganics website (Click here to see the product). I needed a picture to show how deep the pool is and how it allows women to comfortable rest their arms on it while in labor. “Ate, negosyo muna (Business break),” I joked as I asked Eve to step to the side to allow Michael to take my picture. I also managed to smile for the camera. Then it was back to the business of pushing the baby out. Eve asked me to bite on a towel every time I pushed. There was a lot of effort involved, especially since I could not feel pain in that part of my anatomy. 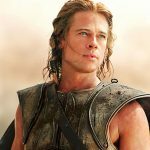 After pushing in a semi-squat, semi-reclined position, as directed by Eve, I asked if I could do it my way in the position that felt comfortable. My midwife obliged. I kneeled and pushed while blowing air out from my diaphragm as a friend had advice. She only pushed twice to birth her daughter. I did that on one full contraction. Nothing budged. Or a least I did not feel anything happen. The position did not give me the leverage to push, so I went back to squatting. 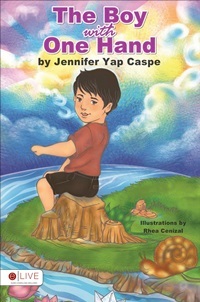 “Ayan na yung ulo ng bata. Gusto mong hawakan? (The baby’s head is here. Would you like to touch it)” Eve asked. 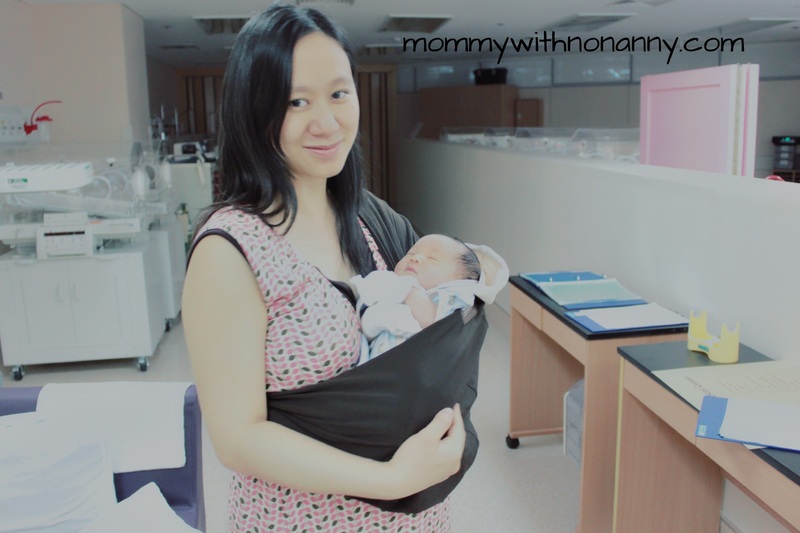 I was not comfortable with the idea, thinking that I might not have the strength to push when I feel the baby. I eventually did try to touch my baby’s head but did not reach that deep enough to know that was already the head. I just felt something soft blocking the opening. As Eve continue to announce that she could already see the baby’s head, I braced myself for the “ring of fire” or the pain you feel as the baby’s head crowns. It never came. At this point, we noticed that the camera we had set up to film the birth had shut down. Low batt! Of all times for the camera to shut down! “Just use my phone,” I told Michael. I couldn’t care less. I just wanted to have this baby out. With beads of perspiration trickling down my forehead, I kept pushing with all my might. The thing was the more Eve declared that the baby was almost out, the more my body relaxed and I would feel my pushes getting lighter. This would take longer than I thought, I said to myself. I pushed for about 1 and a half hours, changing positions two times to help Eve catch the baby. Michael and little Mishca tried to document everything. He was holding my Canon DSLR and she my Oppo phone. When Eve asked Michael to help push my belly down, he could only do so with one hand. “Come out, Baby! You can do it, Baby!” I heared Mishca cheer repeatedly. She also kept praying out loud, asking God to help me push the baby out. Then she got tired. “This is taking too long, I am going to bed!” Mishca announced. She never got to it. The baby’s head was out and Michael said it had a full head of hair just like Mishca when she came out 6 years ago. I was asked not to sit down or close my legs so as not to hurt the baby. 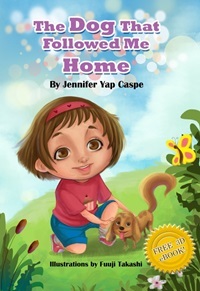 After what seemed like an eternity, all of a sudden, my miracle baby floated out of the water and was placed into my arms–a very solid, wet and slippery baby with grayish-pink complexion. As the baby was handed to me sideways, I got to see its gender before seeing its face. I did not go for an ultrasound during my fifth month. We wanted to spare the baby from sound waves, as there are studies released by the USFDA that say that babies in utero move away from sound waves emitted by ultrasound machines and that these machines cause bubbles or cavitations in the skin. We did not need any confirmation about the baby’s gender. Through out my pregnancy, I would pray for this baby and each time God would give me the impression that it’s a boy. It’s so amazing to finally hold God’s promise in my arms. He looked at me with a furrow on his brows, his eyes still adjusting to the light in the room. Like most waterbabies, he cried very gently. Amazingly, he stopped as soon as I kissed the top of his head. “He knows his mom,” Michael said proudly. I nursed him right away and he latched on easily. I asked for a towel, fearful that the baby might catch a cold. He was fine. With the baby still in my arms, I stepped out of the 3-foot birthing pool to transfer to a shallower pool prepared for birthing the placenta. With one big step, my placenta dropped to the pool and I plopped down on top of it. To think I was psyching myself for more pushes to birth this placenta. I was relieved not to have to push again! “You look so fresh. Para kang hindi nanganak! (You do not look like you have just given birth)” Michael said as he snapped a picture of me nursing our baby boy in the pool. I had a couple of minutes of enjoying my new baby in arms and posing for pictures, before Eve pointed out that the placenta was done pulsating and we could now cut the cord. I asked Michael to do it and he got out the 60 peso surgical scissors that he had bought as contigency, in case we gave birth on our own. He also bought a P19.50 cord clamp and some gloves. Thankfully we didn’t need to do this on our own. Eve showed him where to and how to cut the cord. We asked Eve to be our birthing photographer. She fumbled with the camera for a while and produced one of my most favorite photos of this birth. Still at the shallow pool, I stood up and asked if I could take some pictures of the baby before cleaning and dressing him. Ever the stage mama, I got my heavy DSLR camera from my husband and took a few shots of him with his placenta. After the fifth click, I noticed that I was getting woozy and had to sit down. I did not realize I was exhausted. We named our baby boy Michael Zachary, Hebrew names that when combined mean “Who is like the Lord? The God who remembers.” He was 7 lbs. and 49.5 cms. at birth and the 23rd water baby that Eve helped deliver. He came out at 12:06 AM on May 3, just minutes after his big sister’s birthday. We double checked to be sure we had the correct time. 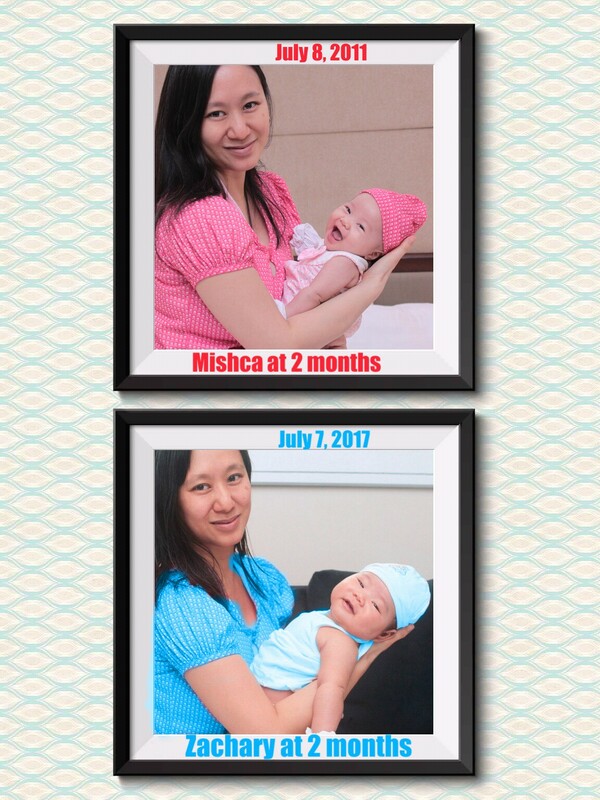 Mishca had wanted a baby brother for her birthday but she did not want him to have the same birthdate. Why? No sharing of gifts, she insists! And so, we found out that God granted even her wish. And that was how I had my unmedicated waterbirth. I praise God for letting me experience a gentle and healing birth exactly 6 years to the date of the C-section. Only He could have orchestrated it. Although it was not a completely pain-free labor, He allowed me to experience a supernaturally painless pushing and birthing time. My husband recounted that my tummy became so hard while I was pushing that for a while he got worried about my Caesarian scar bursting open. That did not even occur to me as there was no pain or pressure at all in that part of my body. There was also no need for an episiotomy even if my former OB GYNE had said that my pelvis is small. When Eve checked on me while I rested on the pool after the birth, she discovered that I got a 1/8 inch laceration from pushing. It did not require any stitches, though, and was left to heal on its own. Zachary slept soundly that night. I was happy to catch up on sleep. I believe that because my baby had a gentle entrance into the world and was not poked and prodded at birth, the result is a no-fuss baby who has a very regular feeding and sleeping time. He also never complains when we give him a bath and just enjoys being in the tub–a true water baby. From 7 lbs., my son has grown to 11 lbs. in just 45 days. Today is his second month and now weighs a hefty 13 lbs.He has outgrown his newborn diaper and most of his clothes, even those reserved for 6 to 9 months! I did not expect a fully breastfed baby to grow this big this fast! I am grateful that my body is producing enough milk for this child. It was a prayer concern when I knew I was having a baby boy. Days after the birth, I still do not know how the baby came out of me! I keep going back to the memory of pushing. It was exhausting, yes, but there is no memory of pain. It is way beyond my comprehension. I still am in awe of it all and will be for a long, long time. We had a lot of challenges coming into this birth but God came through for us and blessed us with an experience that is way beyond my dreams. He is such a faithful Father and a wonderful Redeemer. Truly, nothing is impossible for Him! UPDATE: As of September, my thyroid hormone levels have been normal even if I have not taken thyroid medication since June. No more hypothyroidism! Praise GOD! Thank you, Jesus! Jesus made a promise in John 10:10 to give us abundant life. He wants us to live life to its fullest. Are you interested in having a personal relationship with Him? It is the best decision you can ever make. Log on to www.GODLIFE.com to know more.